This fishing reel is aimed for trolling and longline fishing in deep water. 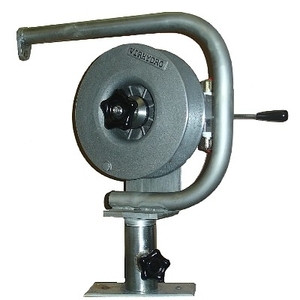 It is equipped with an aluminum interchangeable drum fixed on an hydraulic bend with a regulating brake. The line hauling is free from the disconnected drum and the turn is helped by the progressive brake.